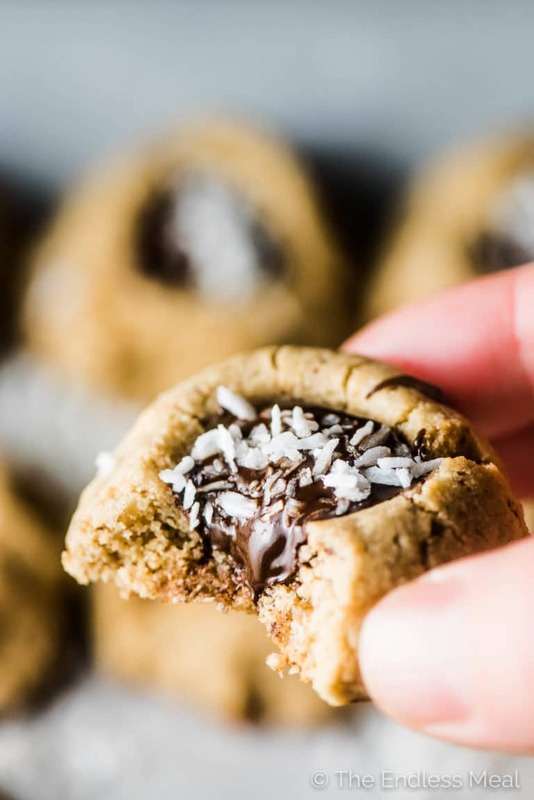 Chocolate Almond Thumbprint Cookies are the ultimate healthy treat. They're soft like shortbread, filled with chocolate, and are made without grains or refined sweeteners. You'll never guess they're a healthy cookie recipe. Are you guys ready for an absolutely AMAZING cookie recipe? I thought so! 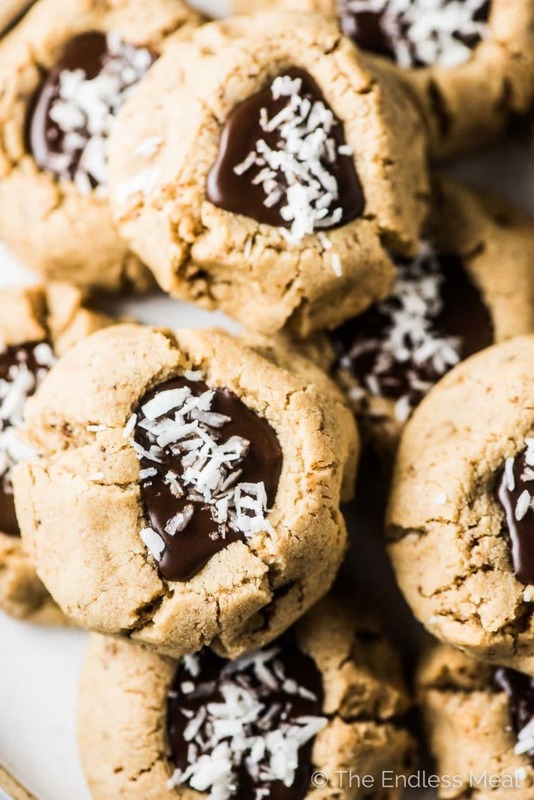 But let's not tell anyone that these delicious little almond thumbprint cookies are made with healthy ingredients. It'll be our secret. They are soft and buttery and reminiscent of shortbread. 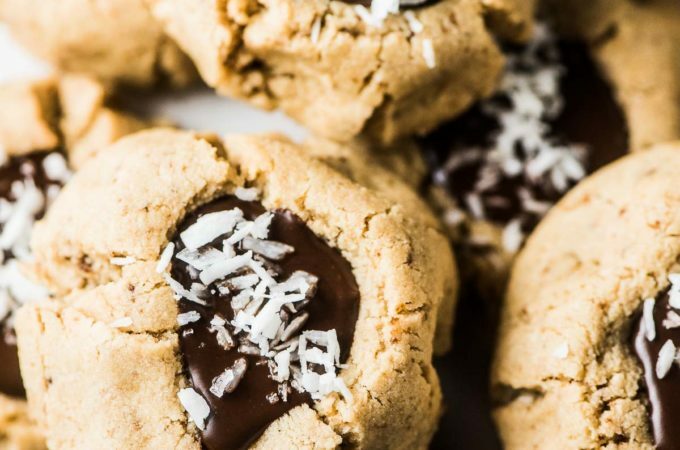 With only a teaspoon of coconut sugar per cookie, they still manage to be sweet enough to cure your sweet tooth and avoid being cloyingly sweet. 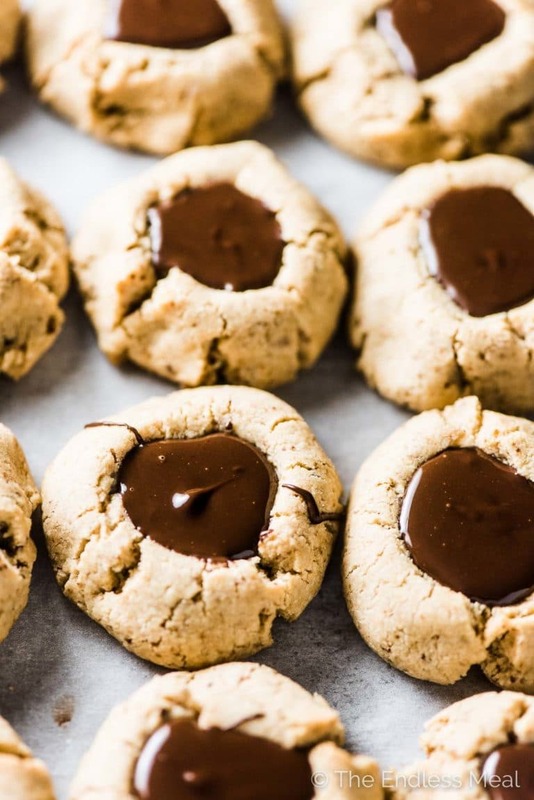 Filled with softened dark chocolate that is absolutely dreamy. 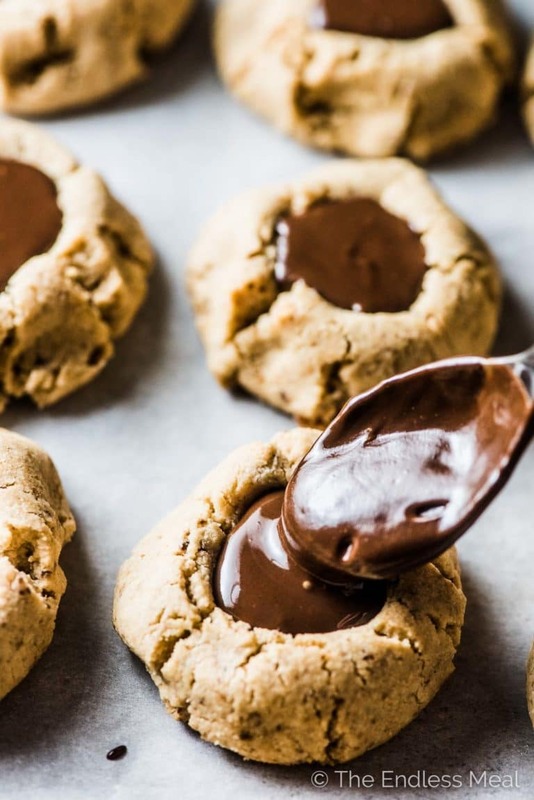 They are literally the easiest cookies to make ever. ← True claim. These little balls of cookie heaven can be dressed up for all the seasons. A few pink heart sprinkles for Valentine's Day. Some red and green sprinkles for Christmas. Orange and black for Halloween or pastels for spring. They are grain-free, gluten-free cookies. 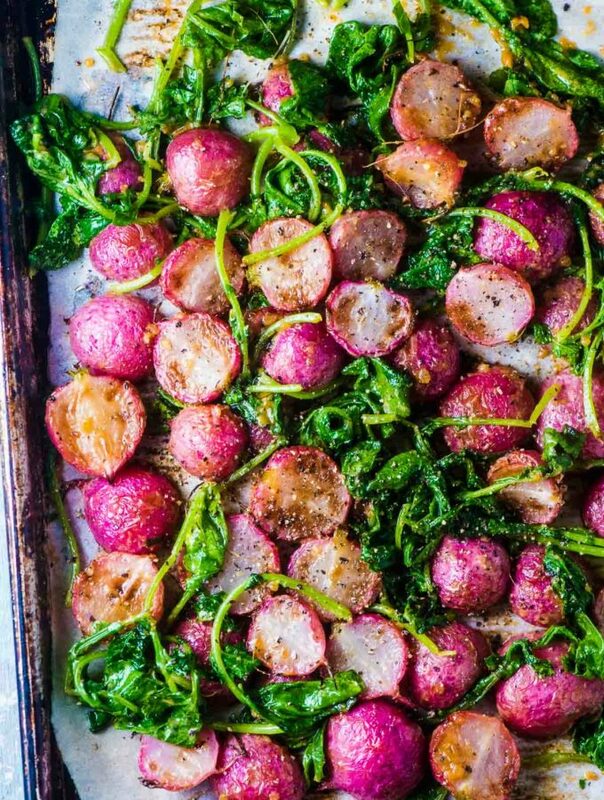 Easily vegan (if you use vegan butter) and paleo, too. But the best part is that they are so deliciously addictive. Add the butter and vanilla and mix (using your hands) until a dough forms. Roll into balls, press down the centers with your thumb (thumbprint cookies!) and bake. 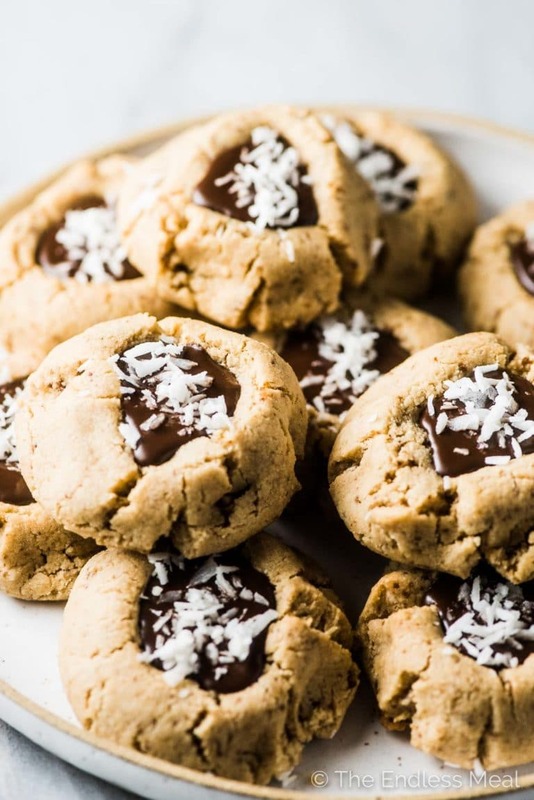 Once the cookies have cooled, you'll melt a little chocolate with coconut oil and pour it into the thumbprints you made. Orange: Add orange extract to the chocolate and decorate with candied orange peels. Which variation do you want to try first? In a medium-sized bowl, whisk the almond flour, coconut sugar, tapioca starch, and salt. Add the butter and vanilla and mix until a dough forms. I find using my hands is easiest. Roll into 12 balls and place them on a baking sheet. Make an indent in each with your thumb. Bake in the oven for 10 minutes. When you remove them from the oven, you may need to push the indents in a little with a spoon. Let them cool for 5 minutes then transfer the cookies to a cooling rack to cool completely. Melt the chocolate with the coconut oil over low heat. Pour the chocolate into the thumbprints then sprinkle a little coconut on top. Let the chocolate set before storing the cookies. 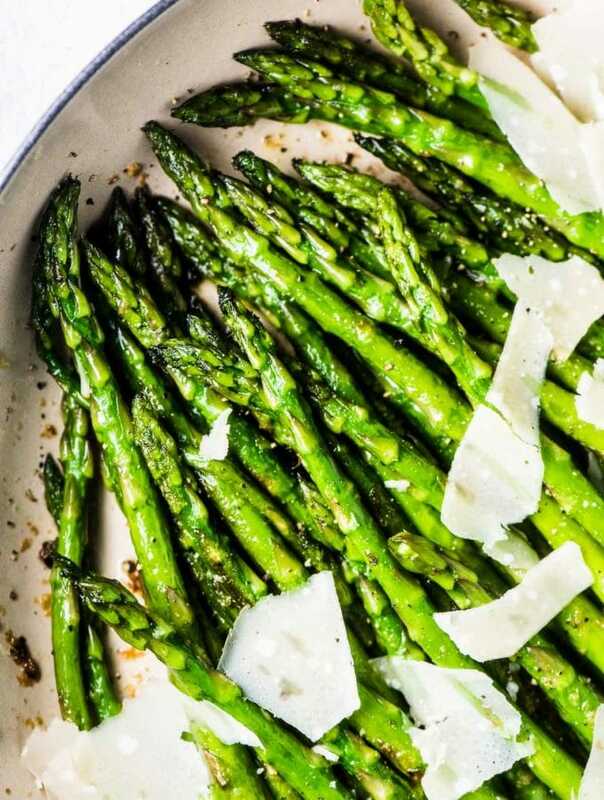 Can I substitute vegetable oil for butter? I can’t have dairy and forgot to get vegan butter. I haven’t tried this recipe with vegetable oil and I’m not certain they will hold together with it. Maybe try a very small batch to test it? Thank you for making a cookie recipe without egg! 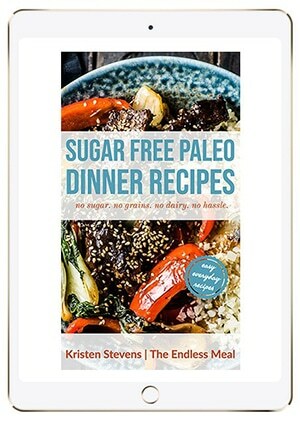 I have an egg allergy and so it’s hard for me to find and make baked paleo goods. I’m excited for this recipe! Oh! MY! GOODNESS! 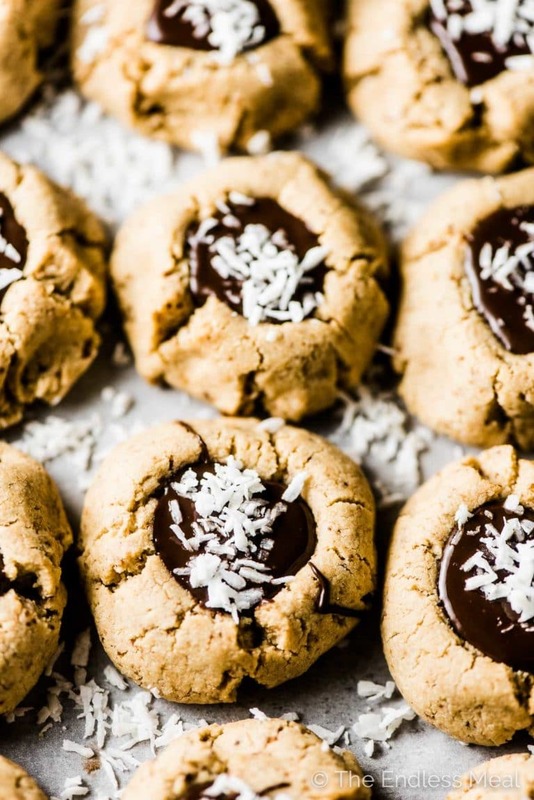 THESE THUMBPRINT COOKIES ARE OUT OF THIS WORLD. AND YOUR PHOTOS MAKE THEM SO ENTICING. ALSO I LOVE YOUR “FUN CREATION” SUGGESTIONS, ESPECIALLY THE ORANGE ONE. THANKS SO MUCH FOR SHARING! I’m so happy to hear they were a hit! Hooray!! No almond flour 🙁 Would regular unbleached flour be an equal substitute? Also, what is tapioca starch used for? Thank you!